This is the present composition of the Tropical Heat Band from the Philippines. 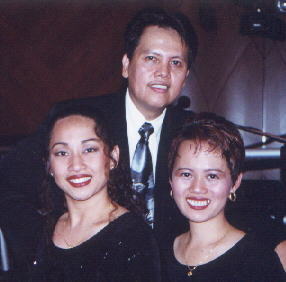 Since 1988 the band have been from leading hotels around Asia pacific. The band is based in Thailand and is known for its wide and class (yet popular) repertoire. Should you be interested hiring them please click the e-mail button below!